Can be twisted or squeezed for tactile stimulation. 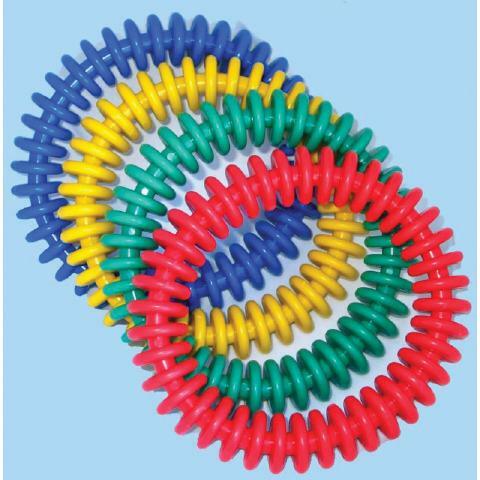 Very strong, brightly colored, heavy duty plastic ring. Easy to hold and catch. Price is for 1 only and the color varies. Hello Western Pa. I bought this item because my deaf blind child with Down syndrome loves it. He went to the Western Pa. School for Blind Children. Now we live near Raleigh. Thanks for your toy. Thank you for your prompt service, the ring is just what I wanted.